Can a Growth Hormone Help Your Weight Loss Goals? People look for a weight loss solution in many places. Some go to health food stores to buy stimulants. Others head to the grocery store to load up on lean proteins and low-carb vegetables. Still, others may head to the gym to work out for hours on end. Even if you do all those things are more, they may not be enough for you to lose weight. That’s when you may need to seek out alternative means that can help you lose weight. Adding a growth hormone to your regimen could be the answer. Human growth hormone is produced by your pituitary gland. In kids, human growth hormone supports growth and development. Over the course of your lifetime, human growth hormone continues to do some important things, such as support your brain’s function, the development of lean muscles and your metabolism. In general, your body’s production of human growth hormone is at its highest level when you’re a teenager. As you get older, your pituitary gland produces lower levels of this growth hormone. Because research shows that obese adults have less HGH than individuals who maintain a normal weight, many people suspect that the hormone can facilitate weight loss. The belief that HGH could facilitate weight loss gained traction after a study was published in the “New England Journal of Medicine” way back in 1990. That study showed that the use of synthetic HGH injections yielded an8.8 percent increase in muscle massand a 14 percent loss in body fat without the addition of exercise or any dietary changes. The results of subsequent studies have not been as promising, however. While that’s the case, grown-ups who lack HGH because of a pituitary disease can experience increased bone and muscle mass and decreased fat when they’re given HGH replacement therapy. Even people with normal HGH levels can experience improvements in their body composition with HGH, but the changes are more pronounced in people who have an HGH deficiency. While some people question whether using HGH for weight loss is a wise move given the sometimes minor results it produces in people with normal levels of the hormone, all hope isn’t lost. At Dr. Weight Loss of Atlanta, we usesermorelinto facilitate weight loss. Sermorelin is a growth hormone releasing hormone that tells your body to produce another kind of hormone. More accurately, sermorelin is a secretagogue that tells your pituitary gland to produce growth hormones. Used to fight the effects of aging since the 1970s, sermorelin can also help users lose weight. 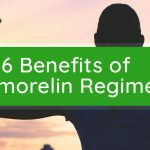 Sermorelin assists with the development of lean muscles, breaks down fat, and boosts the level of HGH in your body, among other things. In addition to helping you lose weight, sermorelin can strengthen your immune system, improve your endurance and help your body regulate other hormones better. To see if sermorelin injections are right for you, contactDr. Weight Loss of Atlantato make an appointment for a complimentary consultation at one of our four Atlanta-area facilities today.